With the AMS High Security Car Wash Vending Machine you can vend over 40 selections of car wash supplies in a secure environment. With using a glass front vending machine the customer can see the items they want to purchase. 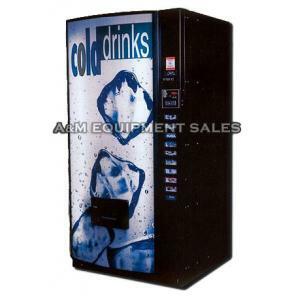 AMS Outside Car Wash vending machine comes in a beautiful red or black color which is capable of attracting all the eyes and wallets in the room. The Outside Car Wash Vending Machine is a perfect fit for the outside location. For example, if you own a Car Wash, you can easily install one of these beauties there, letting people get their car wash supplies as they are detailing their cars.. Outside or inside, these AMS car wash vending machines win every competition they have with other vending machines and are able to leave a mark wherever they are placed. With the AMS Car Wash Vending Machine another feature is the high security it provides such as Lexan front and anti theft side panels. You can vend over 40 selections of car wash supplies in a secure environment. With using a glass front vending machine the customer can see the items they want to purchase. The AMS outside machine is high security and almost vandal proof. The AMS Outside Car Wash Vending Machine is very user friendly and simple. The machine has triple-pane heated glass protected by a layer of durable clear Lexan. machine comes with a new high security lock cover.